Why does it feel like so many running/escape movies take place in the Empire State? Jimmy Conlon (Liam Neeson) is an old, grizzled, and essentially retired hitman. 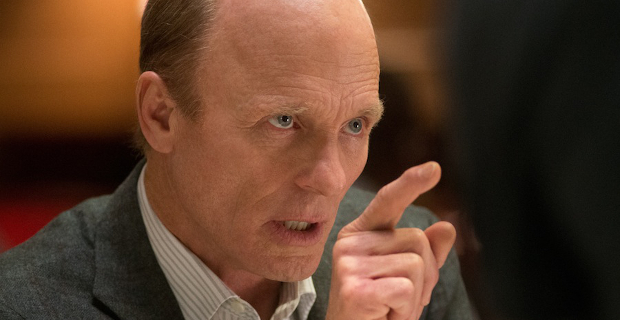 Every individual in the past he’s killed while working for his old mob boss and best friend Sean Maguire (Ed Harris) has weighed heavily on his psyche. His line of work has made family and relationships difficult, like the nonexistent one with his son Michael (Joel Kinnaman). During a routine day as a limo (or cab?) driver, Michael becomes a witness to something he was not supposed to see after dropping off Sean’s son Danny for some business. As such, he is targeted by Danny, and only saved when Jimmy lays a fatal slug into him to save Michael. Angered by the death of his son, Sean commands the whole NY underworld to take down the father and son. If that wasn’t enough, the police, corrupt and honorable, are after the two as well. To survive, Jimmy and Michael have only one option: to Run All Night. Yours truly cannot be the only one surprised that if you take the first letter out of the words Run All Night, you get a nice abbreviation of RAN, right? Intentionally or not, cool tidbit. RAN, like others movies based in New York revolving around being on the run like The Warriors and Escape from New York, is a nice, familiar, B-level movie that isn’t a bad way to spend an afternoon. Behind the director’s chair for this one is Jaume Collet-Serra (Unknown, Non-Stop), going a third go-around with the 21st century action hero Liam Neeson. Both are extremely reliable and comfortable here, in nothing that hasn’t been seen or done before. Neeson may not be flexing a ton of acting muscle, but when he’s asked to do so it’s successful, as his character does have some layers to it. Whenever Liam appears in a film these days, action is almost always sure to follow. Truth be told, this isn’t action-filled and more along the lines of a drama with action interspersed at specific times. Nothing really looks amazing from an action sense, but it is all solid and far from shoddy. 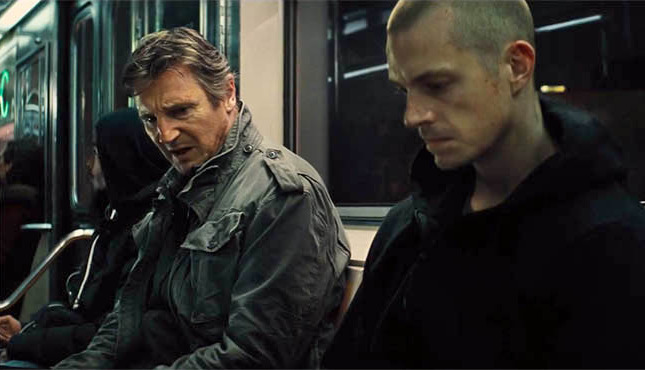 Neeson still has the particular set of skills, and Collet-Serra knows how to exhibit them. There’s a predictability on two fronts with this flick. One reason being that, as alluded to, there’s really not a ton done here that hasn’t existed before. The other reason is that the story structure begins in media res, more towards the end than the absolute middle. As a result, it’s not where the movie is going, but how it will get there to what has been shown. This does lead to Run All Night feeling overly long at points. The predictability is not damming, but it is what it is. Part of the reason why it isn’t damming is because almost everyone appearing in this gives a strong performance, with convincing New York accents nonetheless. Neeson has already been mentioned, but Ed Harris takes the cake. His character is calm, methodical and straightforward, seen most clearly in scenes with Neeson. One in particular seems like a well-done homage to Michael Mann’s Heat that truly raises the hunt. Other supporting characters add a lot to RAN without the screen time Liam and Ed get. Vincent D’Onofrio may be channeling his years on Criminal Intent, but he looks and sounds the part as a police investigator. It is nice to see inspired work from Kinnaman after his RoboCop was so dull. He and Neeson work well together. A feel for his character is had, not liking what his father did but deep down still desiring a fulfilling relationship with him. As the real emotional cog of the story, Kinnaman deserves kudos for giving it that element. And who knew Common would be so effective as a hired gun? He blends in with the rest of the noteworthy cast and makes for a nice physical foil to the protagonist. 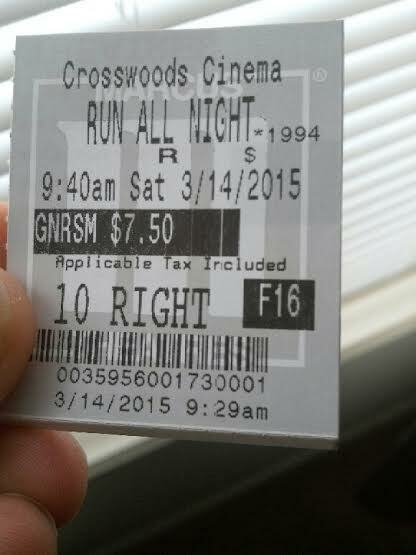 All of this adds up to Run All Night being a steady, unambitious, but reliable crime action-drama that probably doesn’t have to been seen on the silver screen, but isn’t a bad decision if done so. Running at night isn’t safe, but this film is and sometimes there is nothing wrong with that. Photo credits go to screenrant.com and 411mania.com. I’m not that mad I spent money on it, but is this perfect for a boring day. No real reason to see now. Thanks for commenting man! Dude…you’re missing something. No mention about how Neeson threatens someone over the phone in a very badass and scary manner? Please tell me he does! He does in all his action movies! In all seriousness, this looks better than Taken 3. I actually enjoyed Non-Stop. Will check it out! I think you’d enjoy ThyCriticMan, but no need to rush out for this one at all!